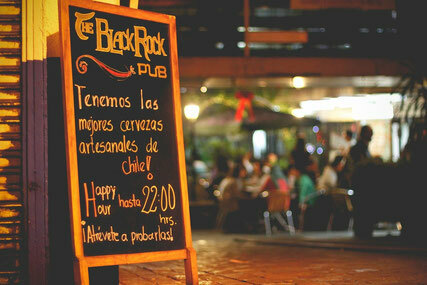 The Black Rock Pub has become a Providencia institution, perfectly located in areas of work and leisure, with the Costanera Shopping Mall a stones throw away, and the Tobalaba Metro Station a two minute walk up Providencia. Our excellent kitchen offers unrivaled cusine, all reasonably priced, so whether you're after lunch or dinner, we have the menu to suit all appetites. And not to mention that we have Chile's best selection of handcrafted beers, as well as other international brews, we have the perfect drop for you, ready and waiting! 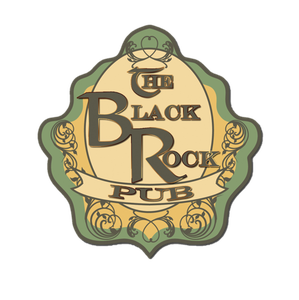 Your new home away from home, and a perfect locale to enjoy legendary Chilean and Australian hospitality, feel free to pop in anytime, you're always welcome! Whether you're wanting a quick bite to eat, coming for lunch or you're after a full course dinner, our scrumptious menu will satisfy those hunger pains. 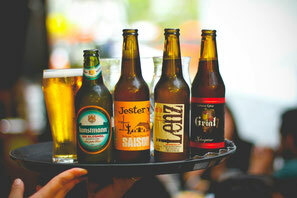 Rated the best pub in Chile for craft beers, our wide range of hand made cervezas will quench any thirst you have, from lagers to pilseners, stouts to weisbier, we have the perfect beer for you. 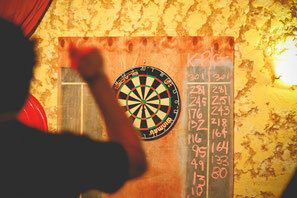 Come in and have a game of darts, or if there's a big match on, pop on in and catch it on our big screen. 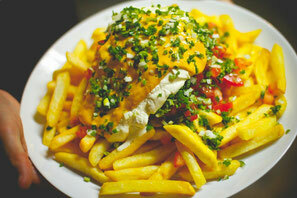 We show all local and internatonal sports when possible such as football, cricket, ice hockey, rugby etc.